In Park Minigolf no special skills are needed. There are 16 holes in Park course. Everyone who comes to play, can get the ball to a hole with 2-7 strokes. It takes about 1-1,5 hours to finish the game. In Wild Wild West Saloon there are 8 holes. This course is more challenging and suits for adventurous players. Holes offer fulfillment to those who want to take risks and who care about winning. If you get a good stroke, ball can be in a hole on first attempt. But if you fail, more than 10 strokes might be needed. 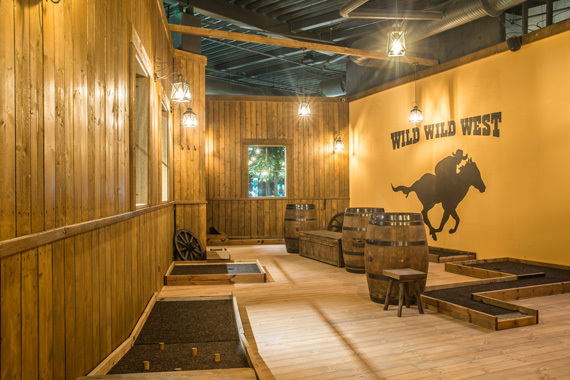 It takes about 45 minutes to finish Wild Wild West Saloon course.